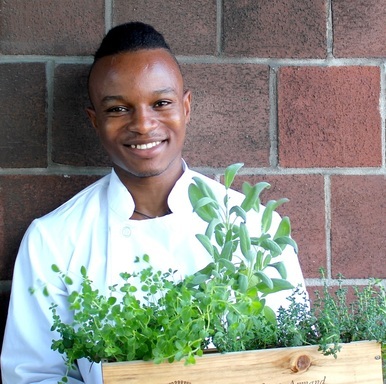 Born and raised in Nigeria, Michael Elégbèdé has been working in the kitchen since he was just a child. Growing up with his mother and grandmother being cooks and owning restaurants Nigeria, Michael quickly learnt his way around the kitchen cooking traditional Nigerian dishes. After moving to America and realizing his calling, he decided to further his knowledge in culinary arts by attending The Culinary Institute of America Greystone in Napa Valley California. Since graduating from CIA, he staged around the country and recently worked at Eleven Madison Park and The Nomad Restaurant. Currently, Michael is captivating New Yorkers with his eclectic twists on traditional Nigerian dishes and bringing awareness to the intricacies of his culture. 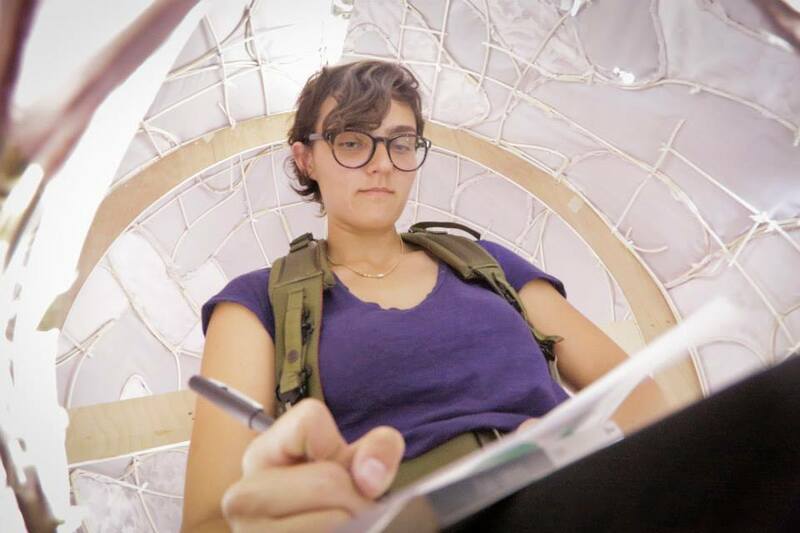 Grace Needlman is a Chicago-based artist and educator. She makes collages and constructions that tell stories about memory, community, and myth and has exhibited across the US, UK, Finland, and India. Her mask and puppet designs appear in productions at Redmoon, The Chicago Children's Theater, First Floor Theater, Rough House, and Chicago Mammals. As a teaching artist, Grace asks questions and designs experiences that explore art in society, participation and invitation, and the museum. She is an artist guide and the co-lead artist of the Teen Creative Agency (TCA) at the Museum of Contemporary Art Chicago. She also creates and facilitates youth programs at the University of Chicago's Arts Incubator in Washington Park, Redmoon and Urban Gateways. Grace graduated with a MA in Contemporary Art Theory from Goldsmiths, and a BA in fine art from Yale. See some art here. Known for her 'dynamic playing' and 'fearless artistry', Charlotte, NC native Jessica McJunkins performs and teaches in New York City, and throughout the North and Southeast. 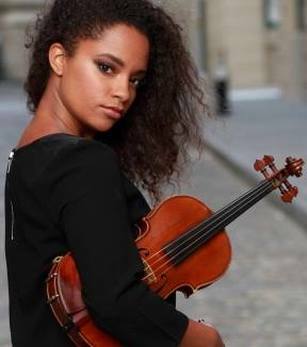 As a classical musician, she has had concert engagements with the Harlem Chamber Players, Wordless Music Orchestra, Chicago Chamber Orchestra, Sherman Chamber Ensemble and Lake George Festival Orchestra, where she served as assistant concertmaster. She was a 2011 fellowship member of the Spoleto Festival Orchestra, and is currently a regular extra member of the Charlotte Symphony Orchestra. As a recording artist, she has collaborated with noted artists Sufjan Stevens, Frankie Rose, Kanye West, Alicia Keys, the Four Tops and more. As a chamber musician, she has toured internationally with the Beacon Street Trio, and recently completed an educational quartet residency at the University of Massachusets, Lowell with Quatuor Mahogony. Internationally, Ms. McJunkins has performed on the stages of North America, Asia and Central America. She has performed on the stages of Carnegie Hall, Trinity Wall Street, Le Poisson Rouge, Highline Ballroom, Gramercy Theatre, Apollo Theatre, Rockwood Music Hall, Sydney Opera House, Melbourne Recital Center, Symphony Space, The Academy of Arts and Letters, the Palace Theatre and more. Learn more here. 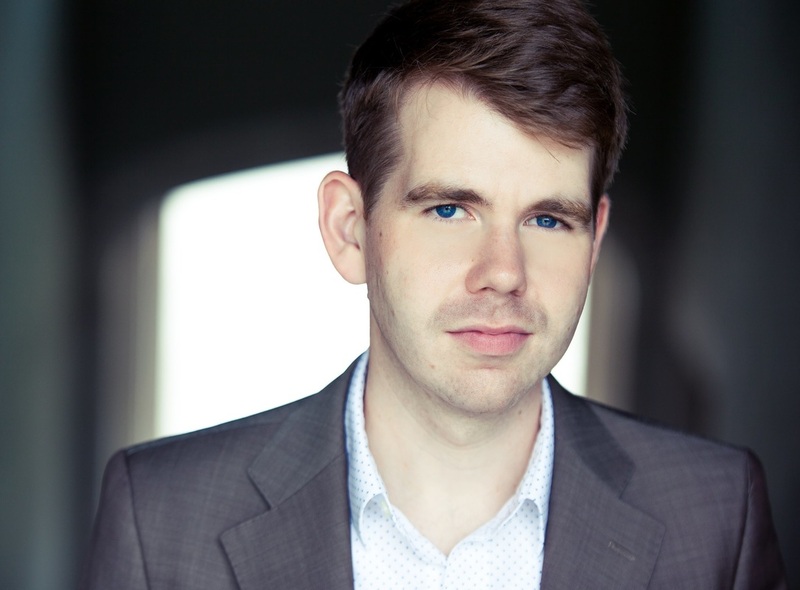 Thomas Cunningham is artistic director of Urban Playground Chamber Orchestra. Founded in 2014, this orchestra for the 21st century is malleable in size, genre and venue and collaborates anywhere, anytime, with anyone. Mr. Cunningham made his New York debut conducting Iolanta for Opera Slavica in 2012. 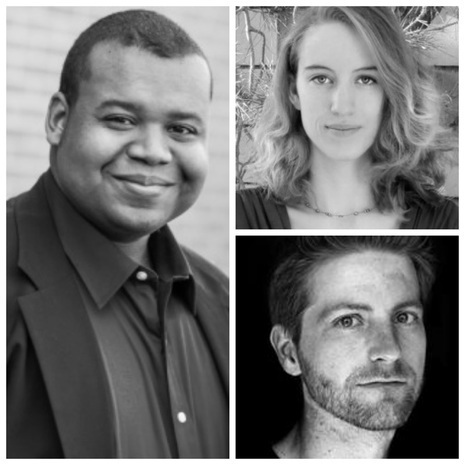 He is on the conducting staff of the Youth Orchestra of Bucks County in Bucks County, PA and Voices of Ascension in New York, NY. He works regularly with The Princeton Festival, Opera Slavica and The CoOPERAtive program. A conductor of distinctly broad repertory, recent engagements have included the concertos of Bach, Dvorak and Berg, orchestrating Addi & Jacq's award-winning songs, and commissioning numerous young composers. 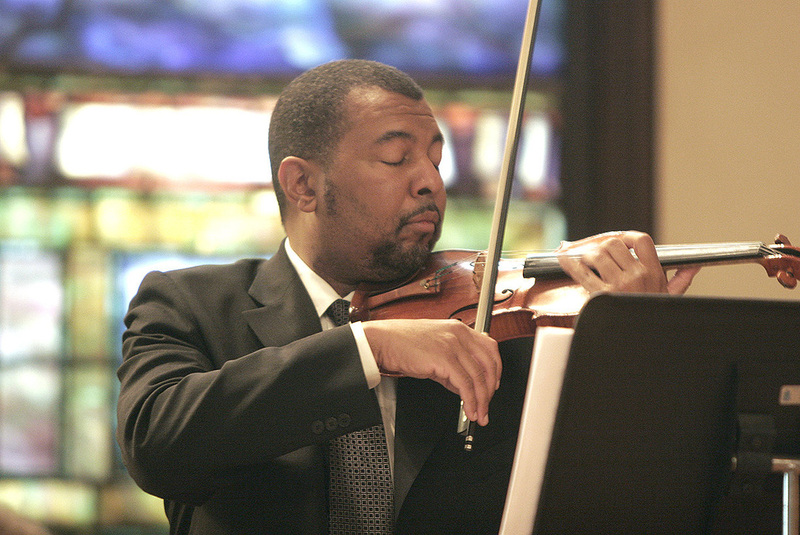 Passionate about the American repertory, Mr. Cunningham believes deeply in the underperformed compositions of African American composers, especially William Grant Still and George Walker. He is currently creating a symphonic suite of William Grant Still’s grand opera Troubled Island. Mr. Cunningham counts Tito Muñoz, Kynan Johns, Kenneth Kiesler and Dennis Keene amongst his teachers and mentors. He is a graduate of Westminster Choir College. 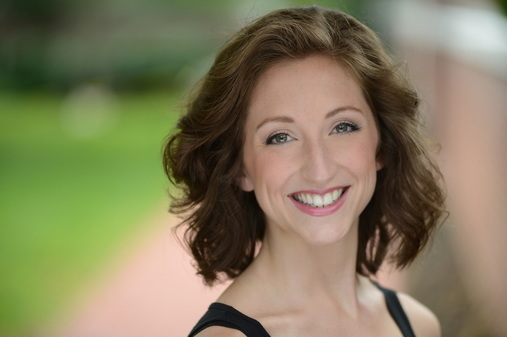 Rebecca Smithorn is a conductor living in Baltimore, Maryland. She has recently conducted in master classes with the Baltimore Symphony Orchestra, the Cabrillo Festival Orchestra, and the United States Army Orchestra, and has worked with Marin Alsop, Gerard Schwarz, Leon Fleisher, and Gustav Meier, among others. She is the assistant conductor of Urban Playground Chamber Orchestra in New York City and serves as a cover conductor for the Cincinnati Ballet. Ms. Smithorn was the founder and conductor of Ad Hoc, an award-winning chamber orchestra in Rochester, New York, which was nominated as a Maverick Classical Music Ensemble on ArtsJournal's Sandow. She was also recently nominated for the Conductor's Guild Thelma A. Robinson Award, a biennial award for promising young conductors. She has received career development awards from the Sigurd I. & Jarmila H. Rislov Foundation in Ann Arbor, Michigan and from the Arts and Cultural Council of Greater Rochester. 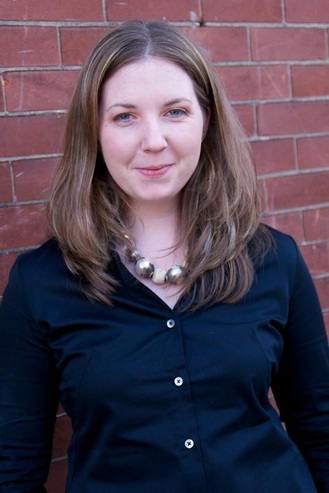 Ms. Smithorn holds a bachelor of music in music theory from the University of Missouri - Kansas City, where her analysis focused on the use of narrative in the works of Robert Schumann and was recognized as some of the most innovative undergraduate research university-wide. She holds a master’s degree in orchestral conducting from the University of Cincinnati College-Conservatory of Music, where she studied with Mark Gibson. She is currently a doctoral student at the Peabody Conservatory, where she studies with Marin Alsop and Markand Thakar. Urban Playground is a 501(c)3 Not-For-Profit. All donations are tax deductible.